You are here: Home / CMB Says / CMB Updates / Full Profiles are coming back to Suggested! 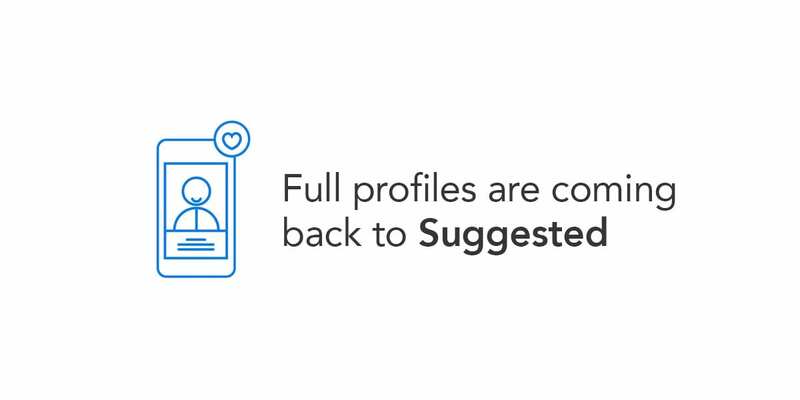 Full Profiles are coming back to Suggested! We heard you! We are bringing back “focused” Suggested! 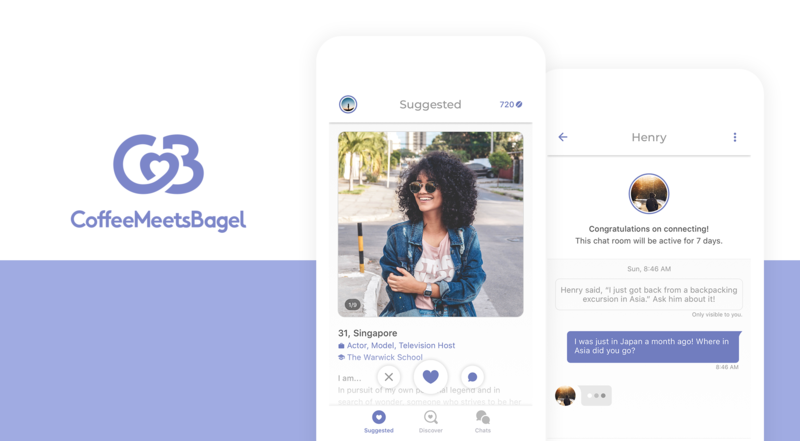 At Coffee Meets Bagel, our mission is to deliver high quality, meaningful connections to the millions of active Bagels using our app. To help us achieve this, we experimented with a different format of the the Suggested page. We collected a ton of great feedback from you and we are bringing back the original “focused” Suggested format! Why are we switching back? Suggested is where we present you the most compatible Bagels – the ones who will most likely match with you! We learned that you love the quality over quantity experience of Suggested, which enables you to focus on one Bagel at a time. The latest Suggested feed detracted from that focused experience! This change will take effect for the Android Community only when you download the latest version of Coffee Meets Bagel from the Google Play Store. (Note that iOS users will not experience any changes.) With the original style of Suggested, Bagels will be presented one at a time and you can view your next Bagel by Liking or Passing on the current Bagel. Note that Bagels will disappear once you’ve Liked or Pass them. You will receive the most compatible Bagels (those who are most likely to match with you) in Suggested. Every day at noon, your Suggested Bagels will refresh. You will be able to go through these Bagels one at a time. If you want to see the next Bagel, simply “Like” or “Pass”. Bagels will disappear once you’ve taken an action. To Unmatch or Report Bagels, click on the three dots located on the top right corner of the Bagel’s photos. If you have a lot of eligible Bagels in your area, you can “unlock” additional matches using your Beans once you’ve gone through all your daily suggested Bagels. We pride ourselves on being a source of strength for our Community and your feedback directly influences the future of Coffee Meets Bagel in the online dating space. Please send us your comments and suggestions for our latest update at [email protected].